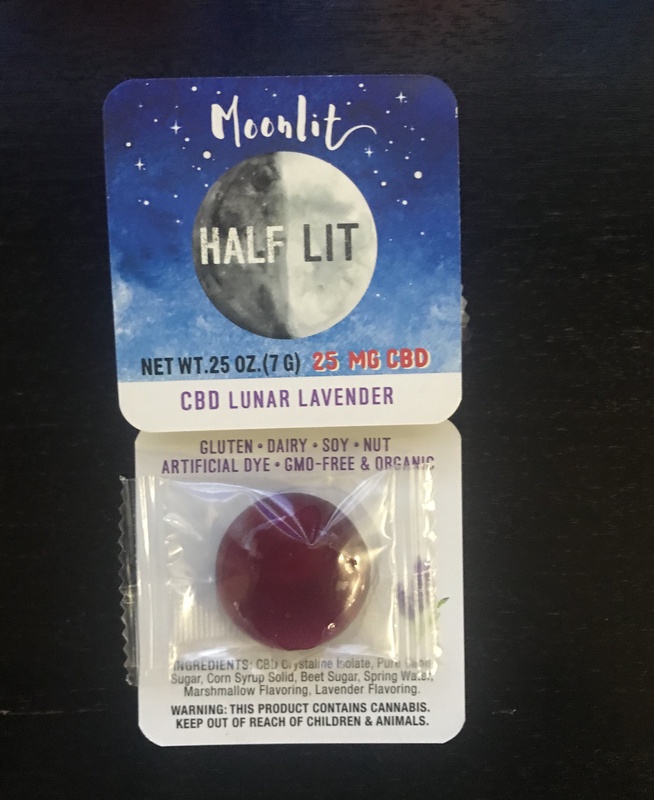 Moonlit Lunar CBD Candy drops by Half Lit are a gourmet treat and medical confection combined into one edible. Handmade in California with quality ingredients, the company consistently delivers on its promise to produce edibles that only adds to your health and wellness. This bite sized candy is a great grab-and-go item for anyone who prefers to medicate themselves without the psychoactive effect provided by THC. Pop Moonlit Lunar Lavender CBD drops and literally feel your pain and stress melt as the candy dissolves. CBD has great therapeutic properties including the ability to boost your immune system. It helps fight cancer, inflammation, epilepsy, muscle spasms, and many other symptoms and diseases. Why are the Halflit Moonlit CBD Candy Drops so good? Moonlit Lunar Lavender CBD drops are made with ideally sourced vegan-friendly ingredients. It is free of gluten, soy, nuts, artificial dye, and GMO, making it an ideal candy for people who have allergies. This organic bite-sized candy is a great grab-and-go item for Canna-savvy people and beginners alike. LOVE it! Such an effective drop!!! Pretty tasty, not to mention effective. Two thumbs up! Wow! So powerful candy drop!!!!!!! very strong candy drop! need another!!! !